Allied security supply and install made to measure security shutters and collapsible gates for all applications. 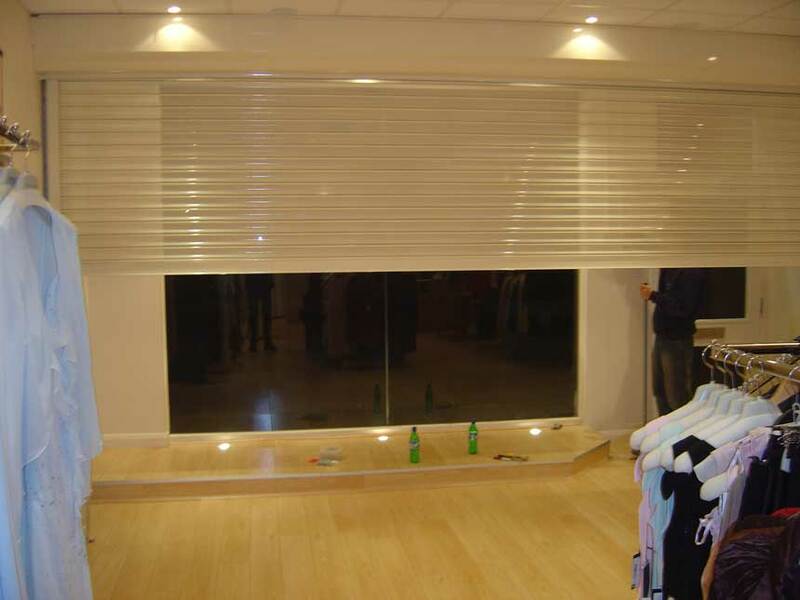 One of our most popular shutters is the perforated Night View Shutter. 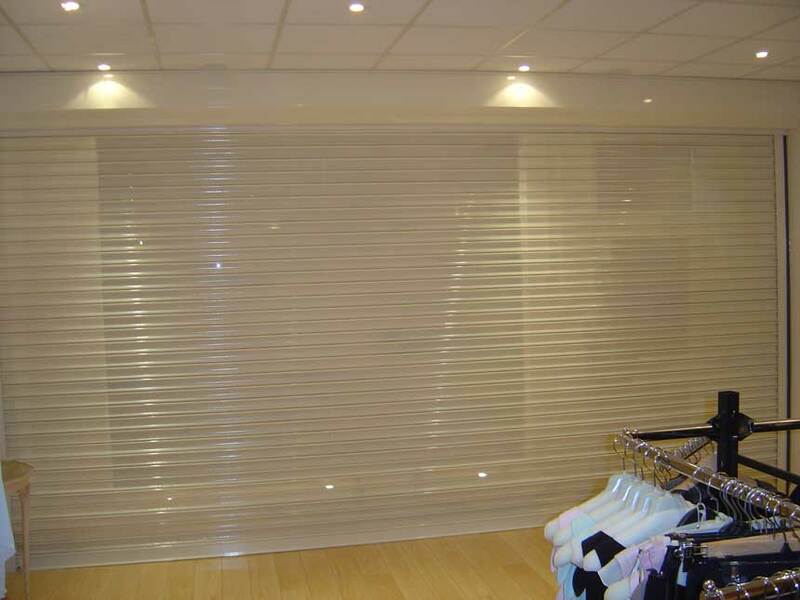 allowing customers to still see into the premises when the shutter is closed. It was powder coated to exactly match the interior of the shop. and to become virtually unnoticeable when it is fully open. 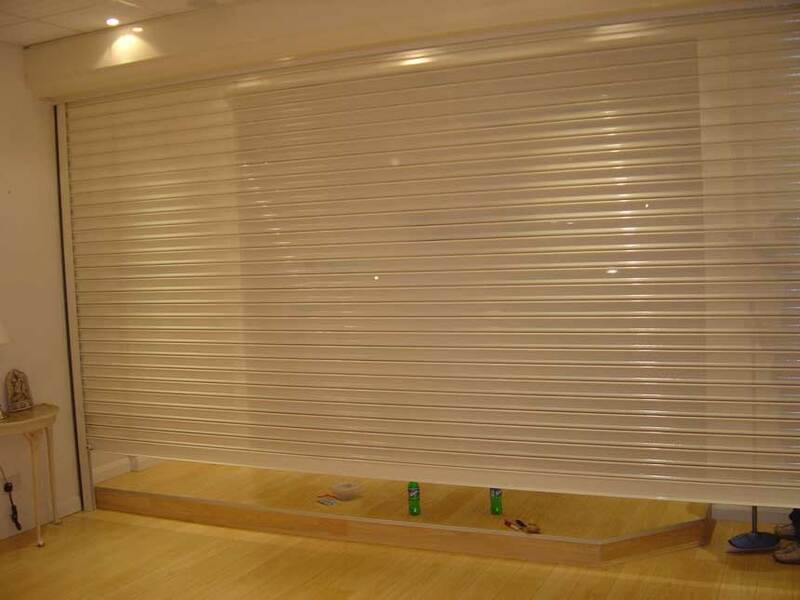 Shutters are supplied in a metallic galvanised finish or are powder coated to the customers required colour. Galvanisation is a chemical process that is used to coat the shutter with zinc. This prevents oxidation (specifically rusting) of the protected metal by forming a barrier. This provides a very long lasting metallic finish. Powder coating is an advanced method of applying a decorative and protective finish. The powder used for the process is a mixture of finely ground particles of pigment and resin, which is sprayed onto the shutters. a uniform, durable, high-quality, and attractive finish. Shutters can be manually or electrically operated although we have found that many of our customers have opted for the electrically operated versions due to the easier operation and the small additional cost. One of our most popular shutters is the perforated Night View Shutter. 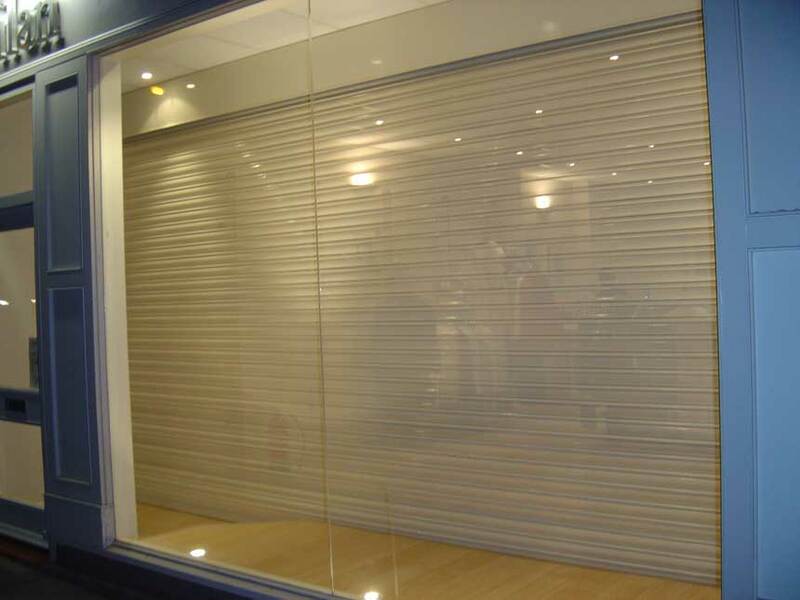 This type of shutter has thousands of small holes in each slat that let light from inside the shop pass through, thus providing a high level of security while allowing customers to still see into the premises when the shutter is closed. The shutter shown opposite is electrically operated Night View Shutter that was powder coated to exactly match the interior of the shop. 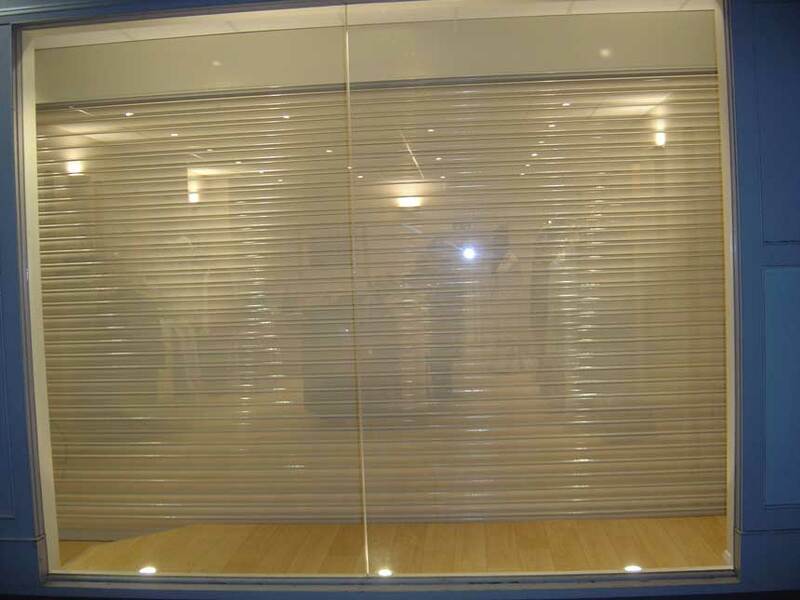 The customer required the shutter to be installed behind the window display area and to become virtually unnoticeable when it is fully open.